Ignite CBD is a recently arrived product in the market, driven largely by social media and influencer marketing. Known chiefly for being backed (and promoted constantly) by internet personality Dan Bilzerian, the Ignite line includes both vape products and oral CBD oils. The CBD oils come in 4 different flavors. The product does not use full-spectrum hemp oil, electing to use only isolate instead. Lab test results indicate no broad-spectrum cannabinoids other than CBD and CBDV, and potency analysis indicates the product had slightly below the claimed 1,000 Mg, but within +/- 10% specifications, resulting in a narrow Pass rating. Ignite Vape pens and THC products were not tested. 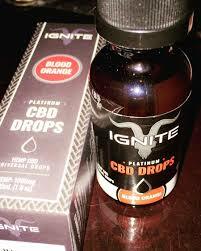 Ignite CBD is marketed by Ignite International, a Wyoming corporation, operating in California. © Copyright 2019. Cbdrevealed, , All Rights Reserved.